Every day, your organization transfers thousands of files across your workforce, systems, customers, suppliers and partners both inside and outside the firewall. Are those files secured, governed and reliable? In many cases, the answer is no. 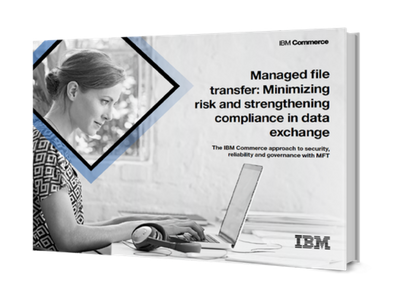 Complete the form on this page to download this informative white paper, and learn how MFT solutions can help your organization minimize risk and strengthen compliance, compliments of IBM and Lightwell.